We all know the feeling the moment that ideal Instagram-worthy backdrop or view has been spotted – I believe they call that satisfaction! From that perfect golden hour lighting or the view that will make all your followers jealous – we are here to help you get plenty of insta-cool likes! 1. 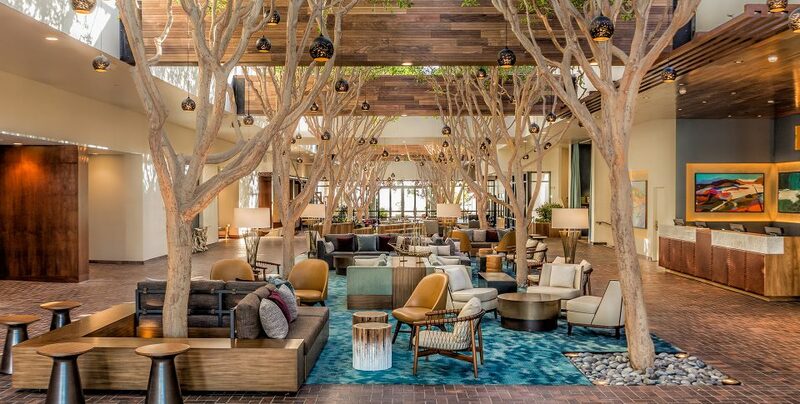 Our lobby – snapped by travel bloggers from around the globe and guests alike – our renovated lobby is one of the most instagrammed spots in downtown Monterey. Bonus tip: The lighting outside the entrance of the hotel is fantastic and the colors are subdued and great for a minimalistic feel. 2. Fisherman’s Wharf- taking a stroll down Old Fisherman’s Wharf is a must in Monterey. There is so much to do such as enjoying some of the freshest seafood available at many of the restaurants and seeing some of the most stunning ocean views. If you are wanting to go on an adventure, there are tons of things to do such as going on a whale watching tour or deep sea fishing. Bonus tip: if you are wanting a quick bite, be sure to try a clam chowder bread bowl that are available at many of the restaurants! 3. 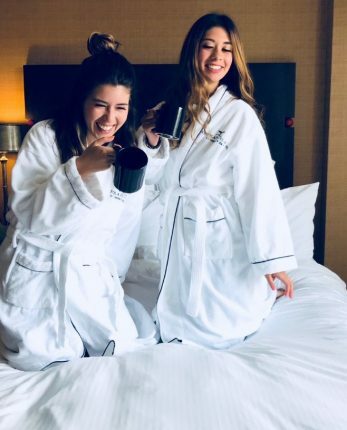 Our guestrooms – from views of the Monterey Bay Harbor, cool plantation shutters, marble bathrooms and fluffy white bedding – the possibilities are endless to capture that perfect hotel room shot. Bonus tip: head out to the striped cabanas out by the pool for some fabulous shots with great lighting. 4. 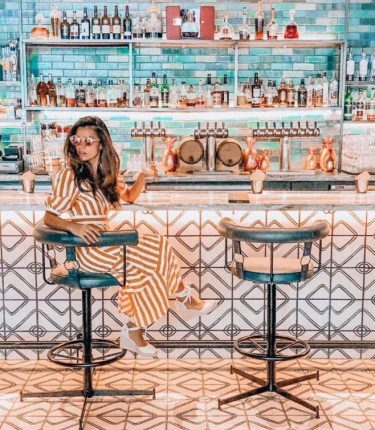 The bar at our Jacks Monterey – take your pick – the coolest tiles in all of Monterey, the modern fireplace or atrium trees – between the lighting, cocktails and California Cultural inspired cuisines – your follower’s will be super jelly! Bonus tip: Order The Share or Group Effort which is served in a copper pineapple- yum! 5. 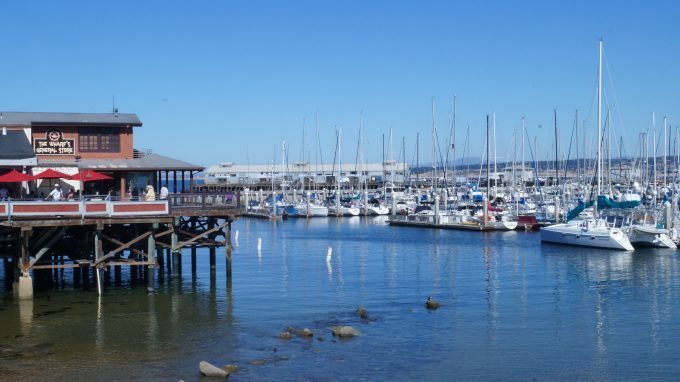 Custom House Plaza, the Memory Garden and Fisherman’s Wharf – all just located steps from the Portola these Instagram-worthy spots are quintessential Monterey. 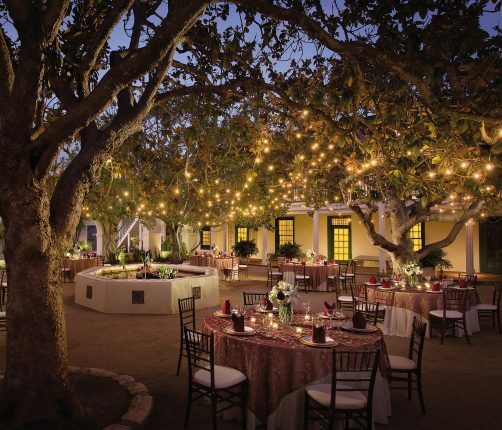 Choose from rustic adobes, cool brick lined paths, kitschy storefronts, bay views and majestic gardens – you can’t go wrong. Bonus tip: If you can swing it – sunrise lighting is amazing, especially along the water’s edge.